My normal cleaner is very simply vinegar and water. That's it. I use it everywhere and on anything. Just call me the all-in-one queen. However, I am not opposed to using other cleaners especially when things start looking a little on the dingy side as sometimes they do. 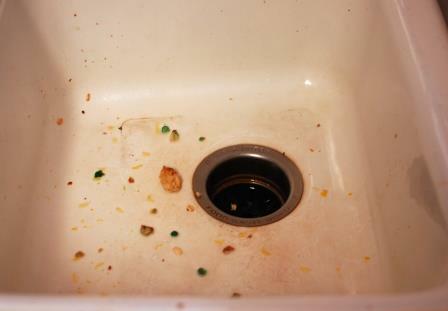 That is what my sink looks like after a couple of days. No manner of scrubbing with vinegar and water gets it looking sparkly clean. 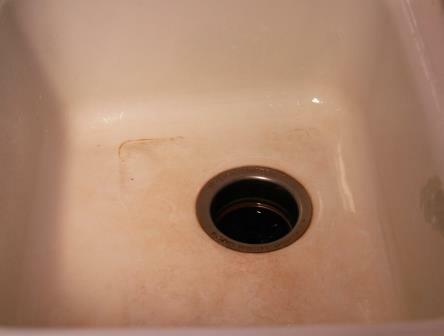 But here is the picture after I used Soft Scrub Total All Purpose Bath and Kitchen Cleanser on my sink. Everything about this product is convenient. 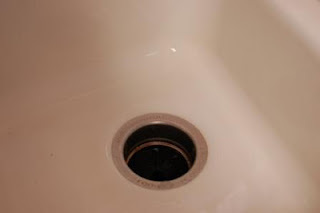 It's easy to rinse off, the lid is tight enough to not pop open at inopportune times but isn't so hard that you can't flip it open easily with your hands, and it's an all in one so you don't lug around tons of cleaners to each room of the house. It has a very light lemony scent so it just smells clean, not astringent. I also tried the Soft Scrub all purpose cleanser on our tub that after one use gets grimy and I easily wiped away the yuck. Enter the rafflecopter below for a chance at one of three coupons for a FREE bottle of Soft Scrub Total All Purpose Cleanser. The winners will be selected at random on March 22nd and will have three days to respond before a new name is drawn. Coupon is only valid in the US. The winners have been contacted. Soft Scrub provided me with a free sample of their Soft Scrub Total All Purpose Bath & Kitchen Cleanser to facilitate my review. 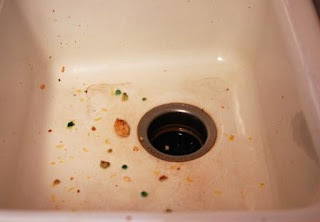 All opinions and grimy sinks are my own.